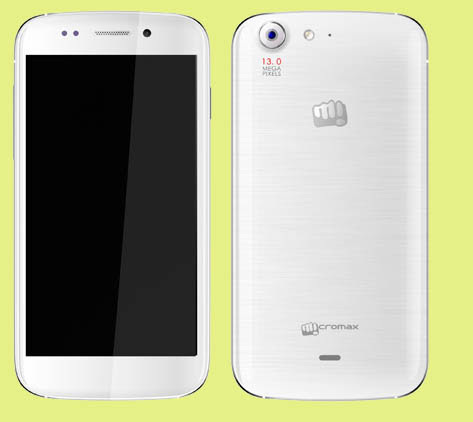 Micromax has started pre-booking of Canvas 4 at Rs 5,000 officially at www.canvas-4.com. The phone is expected to have a 5.5-inch screen with Android Jelly Bean operating system and 2GHz quad-core cortex A7 processor. The phone also has a 13 mega pixel camera. The micromax canvas 4 will available from 8th July onwards for shipment, the product will be delivered within 7 business days. Among the pre-book customers, lucky 10 get to attend the exclusive Canvas 4 unveiling & get their handsets at the launch. Pre-book price of the phone is Rs. 5000, after launching the product you have to pay the remaining amount without any interest. The price of the phone will be announced on the 8th of July, 2013.